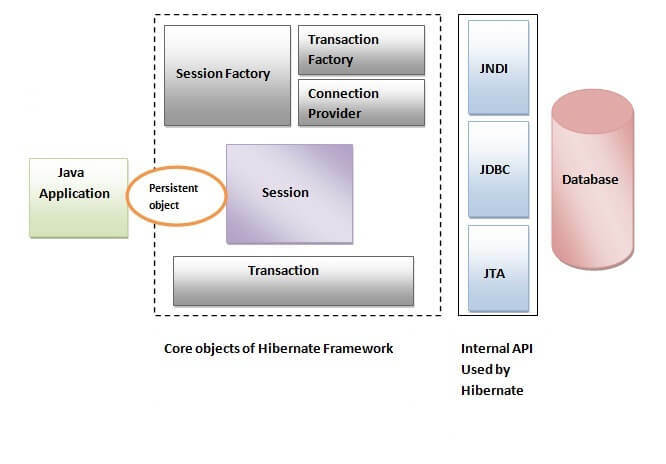 The Hibernate architecture includes many objects such as persistent object, session factory, transaction factory, connection factory, session, transaction etc. The Hibernate architecture is categorized in four layers. This is the high level architecture of Hibernate with mapping file and configuration file. Hibernate framework uses many objects such as session factory, session, transaction etc. alongwith existing Java API such as JDBC (Java Database Connectivity), JTA (Java Transaction API) and JNDI (Java Naming Directory Interface). The SessionFactory is a factory of session and client of ConnectionProvider. It holds second level cache (optional) of data. The org.hibernate.SessionFactory interface provides factory method to get the object of Session. The session object provides an interface between the application and data stored in the database. It is a short-lived object and wraps the JDBC connection. It is factory of Transaction, Query and Criteria. It holds a first-level cache (mandatory) of data. 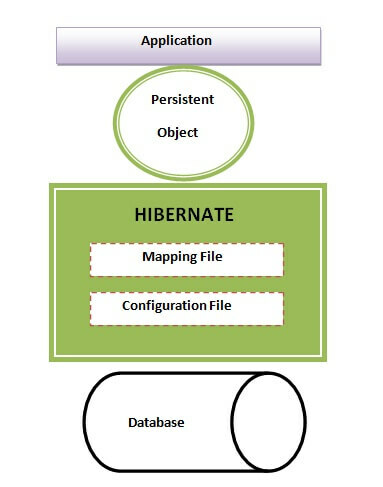 The org.hibernate.Session interface provides methods to insert, update and delete the object. It also provides factory methods for Transaction, Query and Criteria. The transaction object specifies the atomic unit of work. It is optional. The org.hibernate.Transaction interface provides methods for transaction management. It is a factory of JDBC connections. It abstracts the application from DriverManager or DataSource. It is optional. It is a factory of Transaction. It is optional.